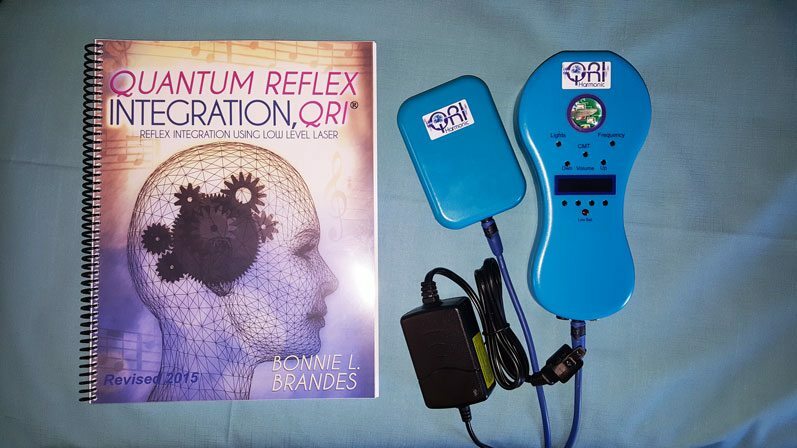 The QRI Harmonic Cold Lasers and QRI home program was specifically developed for the Quantum Reflex Integration protocols. When combined with the QRI program, significant improvements are seen for primitive reflex integration. 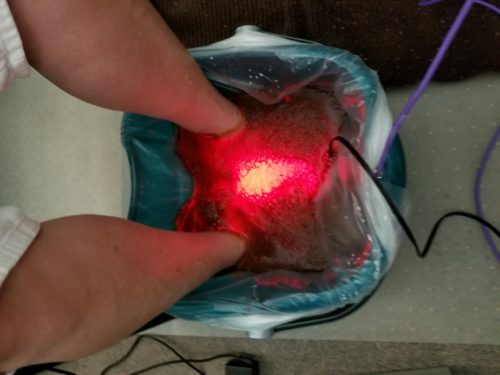 The Harmonic laser also works for other conditions typically addressed by low level laser therapy (LLLT). The Harmonic sound and light system produces infinite frequencies using the CMT Harmonic Frequency Sweep. The QRI Harmonic is the only laser that combines the CMT sound frequencies with low level laser, this distinguishes the Harmonic from other lasers. Two low level laser heads are included, the main unit and an attachment. This allows you to complete each reflex integration protocol in one-half of the time and create a synergistic connection between accu-reflex points and primitive reflex patterns. The CMT encompasses the entire spectrum of frequencies that sweep through the laser diodes and through an adjustable sound system. Paul Esch created this frequency generator which produces infinite frequencies to allow the body to choose the most beneficial frequencies in the best order. This reduces the possibility of the body becoming immune or habituated from using the same few frequencies when used repeatedly. SPECIAL OFFER: Buy now and get a FREE carry case, and FREE online class (over a $500 savings). 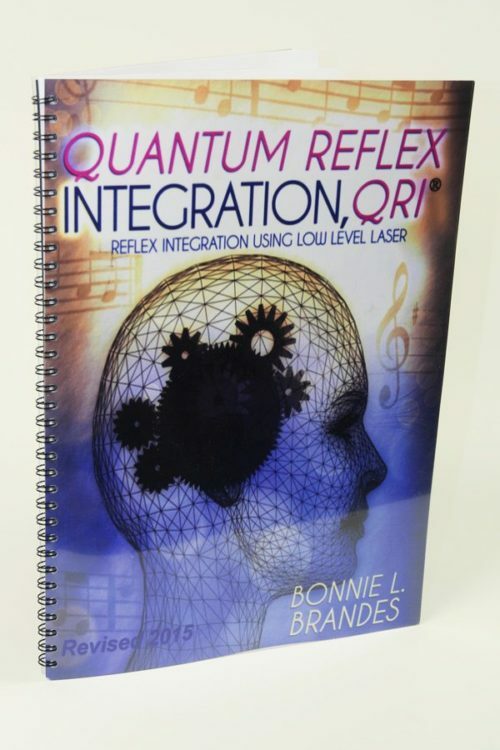 Purchase the laser and the Quantum Reflex Integration home program is FREE. We have found that the harmonic frequencies reduce the Moro and Fear Paralysis reflexes by sound alone. These two reflexes may keep the body in a state of stress, thus preventing reflex integration, slowing progress and delaying normal development. The CMT alone and played continually as a frequency generator to reduce stress and address other conditions. Playing the CMT during the day or while sleeping often brings noticeable improvements in behavior and reduced levels of stress. The price includes the Quantum Reflex Integration Home Program using easy to learn reflex integration techniques that produce profound results. Reflex integration not only addresses those with neurological damage, but injuries, chronic pain, health, and aging. Sound wave frequencies played through the Harmonic laser have a significant effect on integrating reflex connections. One third of the spinal cord consists of nerve tract (countless neural pathways) whose sole purpose is to transmit data to the brain stem, Cerebellum, Pons, Medulla, Hypocampus /Limbic System the emotion processing areas. By delivering sound waves through the body, an entirely different system of the body – spinal cord and areas of the brain stem and brain – are brought into play, with the possibility of a much deeper whole – body response. With this delivery system we have direct cellular stimulation. Direct stimulation of living cellular tissue sound waves vibration has shown marked cellular organelle response with a corresponding measurable increase of cellular metabolism and therefore a mobilization of a cellular healing response. It includes a one year warranty and free shipping in the US. The QRI Harmonic comes with a rechargeable battery lasting up to 6 hours and the ability to use the laser while charging, so you can complete your session. The human body is over 70% water and sound waves travel 5 times more efficiently through water than air, sound waves introduced directly into the body is a highly efficient means for total body stimulation, especially at the cellular level. 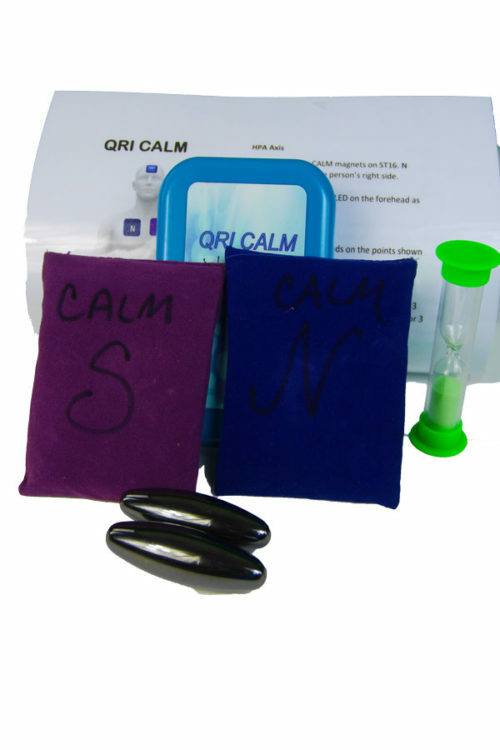 No need for extensive training to learn to measure joules or to pick specific frequencies. 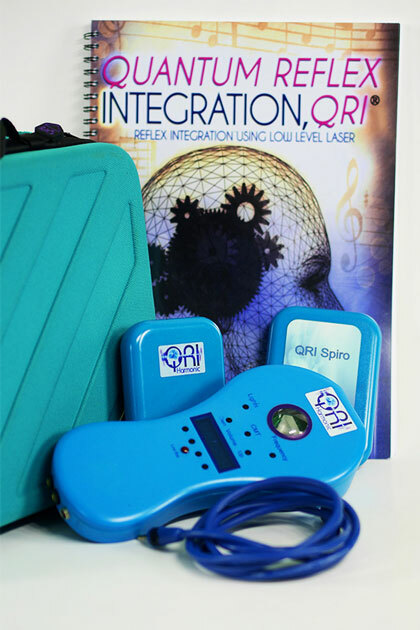 QRI is an easy to learn program combined with an easy to use laser—push two buttons, adjust the volume, and the laser is ready to go. * When placing an online order- PLEASE put in the notes if you don’t want a signature confirmation. We will pay for it. Thanks. **There are additional fees for shipping out of country. We ship free anywhere in the United States. You can purchase online but will have to make an additional payment for out of country shipping. **PLEASE NOTE: THERE IS A 1 WEEK HANDLING/SHIPPING TIME, A 7 DAY RETURN POLICY AND A 20% RESTOCKING FEE.